Concrete is easily one of the best materials to build with. It is strong, durable, versatile fire resistant, , affordable and energy efficient. From the foundation of a home to the creation of modern engineering wonders like the Hoover Dam, concrete is what makes it possible. But a material as useful and tough as concrete needs to be properly cared for. That care often comes from the application of a protective coating or penetrating sealer. In order to get the most out of the protective coating it is essential the concrete it correctly prepared – and that is where the professional shot blasting services of Axis Solutions can make the difference in the effectiveness of the investment. Axis Solutions, LLC is a dedicated team of concrete restoration and maintenance professionals here to ensure that the concrete at businesses of Denver are well cared for. To get the end result that our clients desire, it is vital to perform the correct preparation. 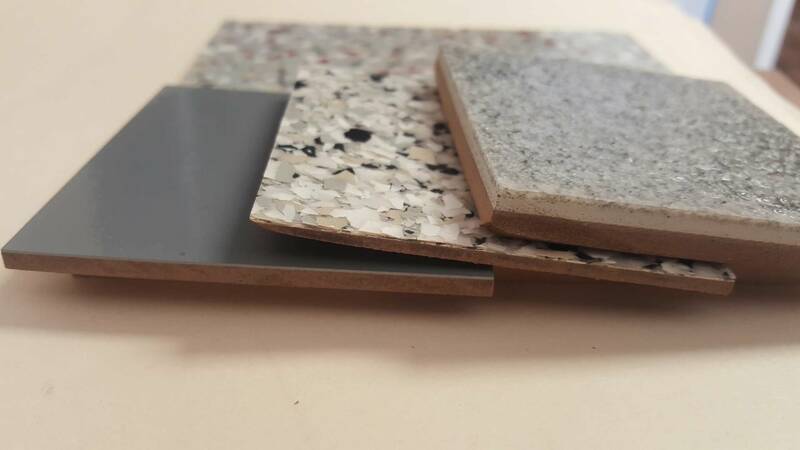 If not then the protective elements applied to the concrete flooring will not adhere properly, undercutting the investment our Denver clients made on the longevity of their flooring. At Axis Solutions, we perform a multistage preparation process to ensure that our clients receive the best service possible. On this page, we will be talking about the shot blasting part of our concrete preparation process. Shot blasting is part of the cleaning and surface preparation technology known as abrasive blasting. Specialty machines are used to shoot shot, metal particles of varying size, at high speeds into the concrete surface to strip and clean a surface by abrasion. The machine is slowly rolled over an area, with the shot being blasted onto the surface and vacuumed back up with the resulting debris into the blasting chamber. This allows the heavier shot to be recycled while the lighter debris is captured in a vacuum bin, minimizing dust during the process. The most well-known form of abrasive blasting for surface preparation is sand blasting. This is because silica sand was one of the first materials used in the technology. Though the technology used by the two blasting systems are very similar, shot blasting is preferred for two main reasons. Shot, utilizing metal, is a stronger abrasive and can be recycled and separated from the debris due to its weight. At Axis Solutions we only shot blast horizontal surfaces and have both electric and ride on diesel powered machines with production outputs up to 5000sqft/hr. Concrete surface preparation is carefully classified by the International Concrete Repair Institute on a scale from CSP 1- CSP10. To achieve a CSP3 or higher a grinding process will not suffice and shot blasting is required. CSP 3 and higher is usually specified for most coatings applications and restoration work associated with concrete. 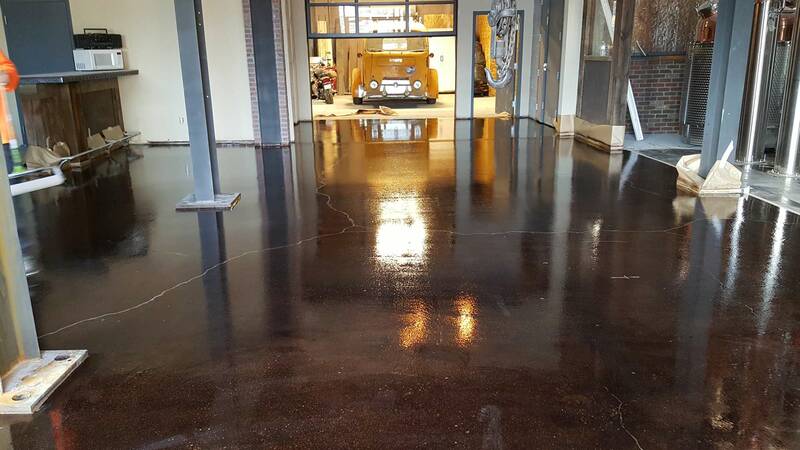 Shot blasting is the first step we use to rejuvenate the concrete flooring of your Denver business. It allows us to strip away the buildup of dirt, carbonated concrete and old protective coating and reveal the structurally sound concrete hidden underneath, exposing and providing the surface with an aggressive profile for coatings to adhere or penetrate the concrete slab. Like a lawn mower in tall grass, you can see the results as soon as the machine passes. Thank you for taking the time to learn more about the preparation process we use to properly serve our Denver clients and the surrounding area. 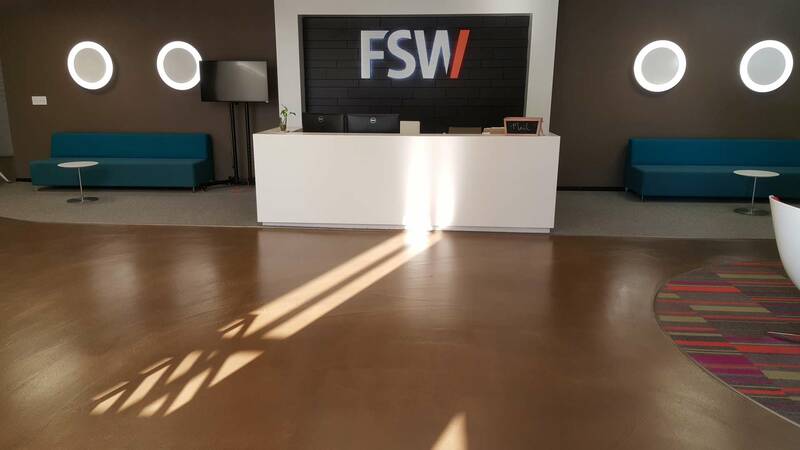 If you have any questions about the process of shot blasting concrete or would like to set up a consultation on how we can refresh and strengthen your concrete flooring, then please feel free to give us a call or send us an email. We look forward to hearing from you.